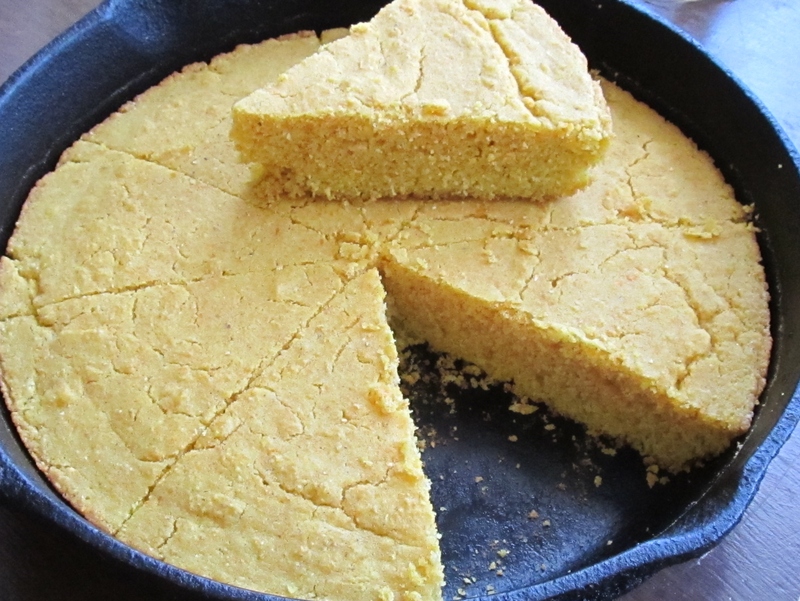 Today I’m working on the cornbread for my Stuffing. ( if your from the South, we call it Dressing) The Stuffing or Dressing recipe I use calls for 2 pans of corn bread, which equals about 12 cups of crumbled corn bread. So I double the recipe below. 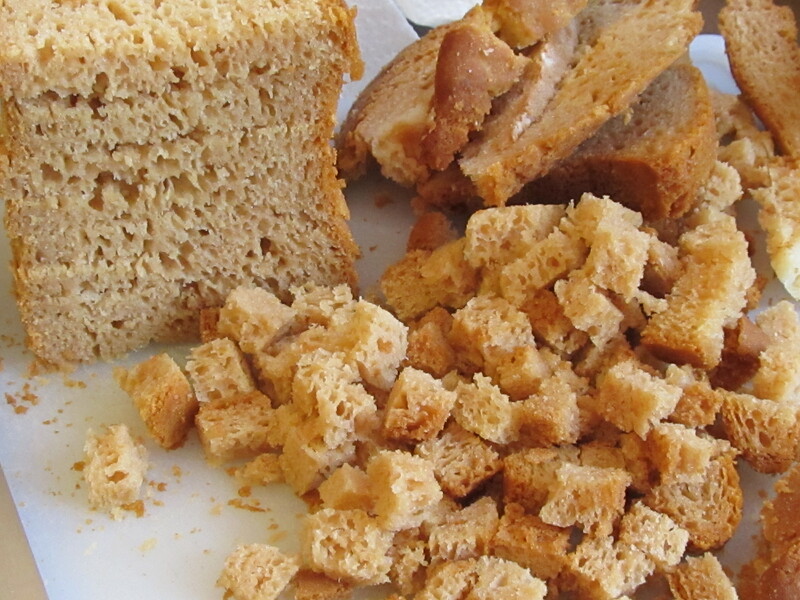 I try to make my corn bread early, measure it out and put it into bags and freeze it. 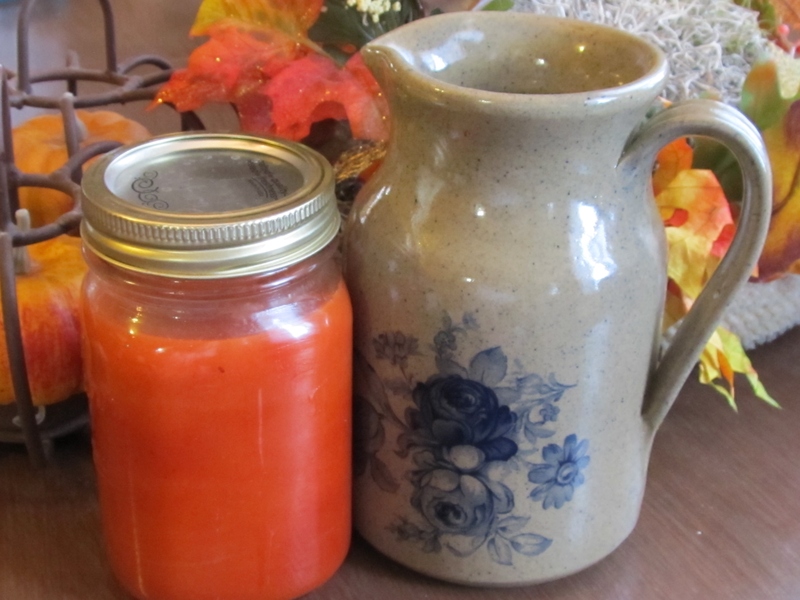 That way when it’s time to make my dressing for Thanksgiving, all I have to do is add it to the recipe. Mix well with whisk, in a large mixing bowl, and pour in air tight container. Be sure and label container. In large mixing bowl whisk together dry ingredients, then add butter, water and eggs. 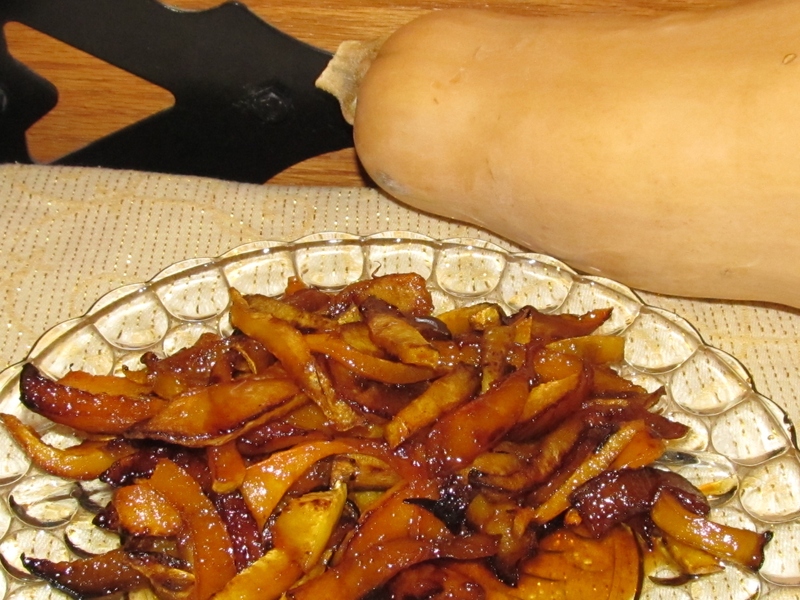 Mix well and pour into a greased, 9 – 10 inch skillet, or baking dish. Bake at 350* for 25 – 30 minutes, or until set and browned around the edges. Remove from oven and let cool. Gluten Free Flour Mix: My favorite flour mix, 1 – 1pound box of Betty Crocker GF Rice Flour and 3 Cups of Tom Sawyer GF Flour, whisk together and store in airtight container. Using this mix there is no need to add xanthan gum. Note: If you use another flour that does not have xanthan gum, then you must add 1/4 teaspoon xanthan gum. Pour dough onto wax paper that has been lightly greased and floured (with GF flour). Lightly sprinkle more flour on top of dough, just enough to roll out. Roll out dough to about 1 inch thickness. 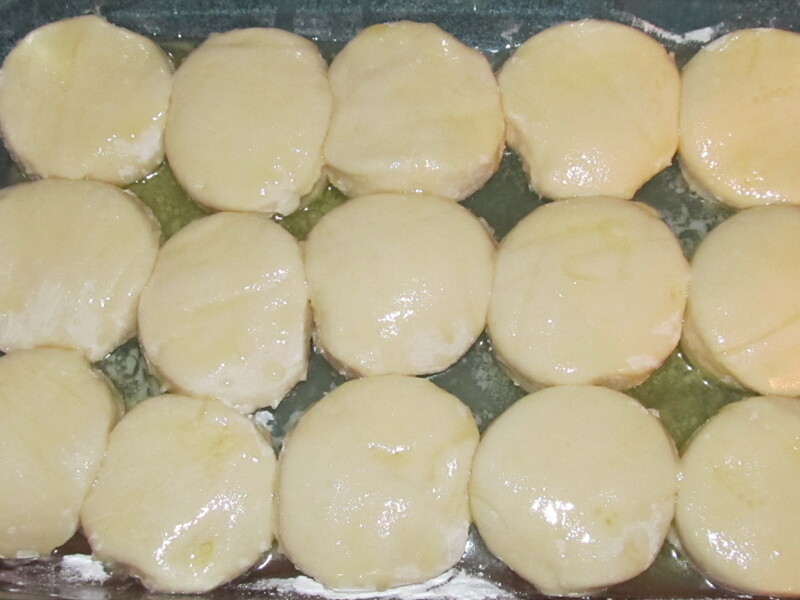 Using a 2 ½ in round cookie cutter, cut rolls and place in a lightly greased nonstick pan. 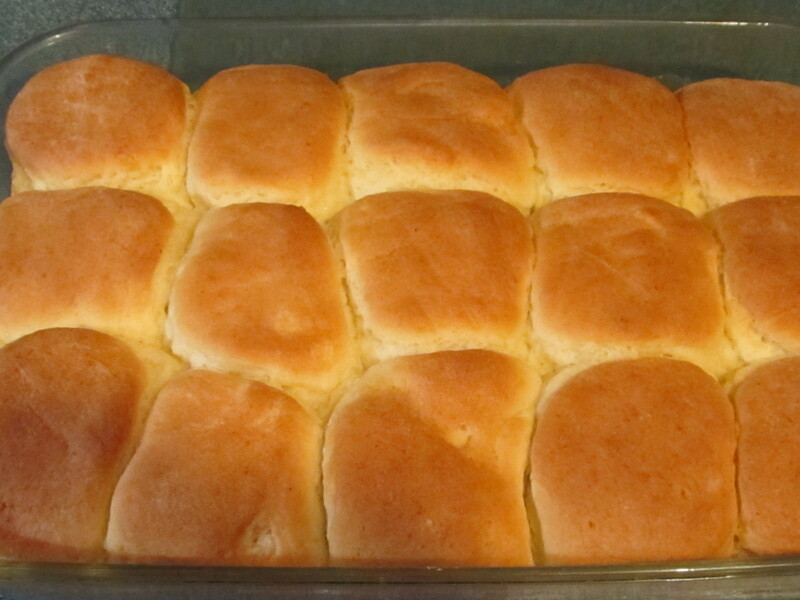 Or if you are using a glass baking pan you must lightly grease and flour the pan or the rolls will stick. I can get 18 rolls into a 9×13 inch pan. This will make 24 – 25 rolls depending on how big you make them. I use a smaller pan for the rest of the rolls. Try not to handle the dough any more than you have to. The more it is worked the tougher it makes the rolls. If you would rather make popover style rolls, then just use an ice cream scoop and place 1 scoop of dough into a regular greased nonstick cupcake or muffin pan. Remove from oven and butter again while warm. Lightly cover rolls with foil that you have pierced with a fork, ( so rolls do not sweat) until you are ready to serve. These freeze very well. To thaw and serve, remove from freezer bag and pop them into the microwave for 25-30 seconds per roll, longer for multiple rolls. As you are out doing your last minute shopping for the holidays, PLEASE be aware of the sneaky way food companies have of enticing us to buy their products. The pictures look so appealing and appetizing. The chicken, or the steak, looks mouthwatering, but remember those are just pictures. A good food photographer was paid very well to make that picture look like that. It does not in any way mean that it’s real food. I know it seems like I have said this a lot, but read the labels. 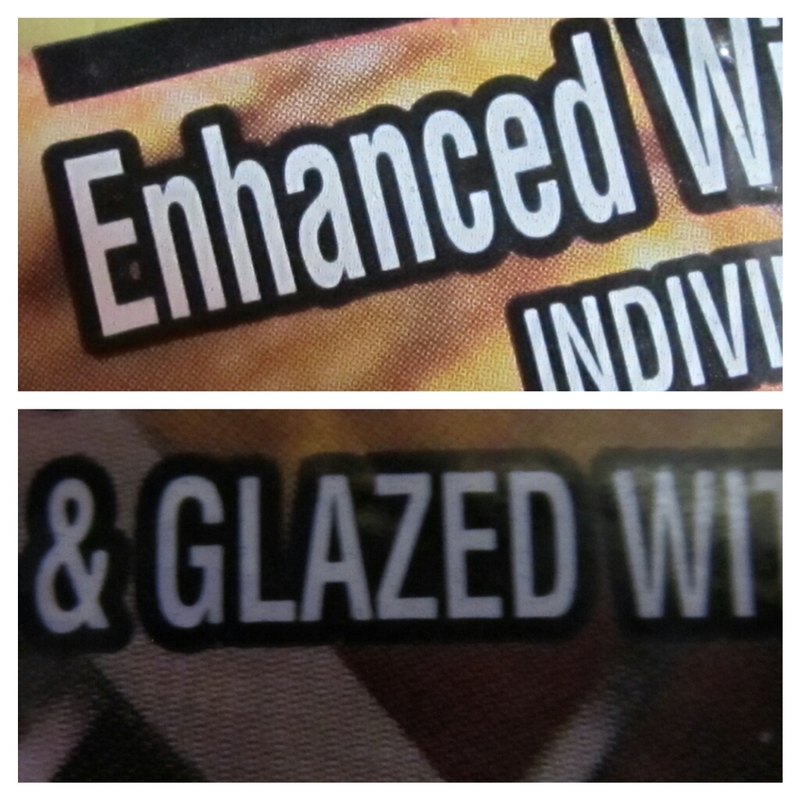 Those little words like enhanced, or glazed, especially in meat and sometimes vegetables, just means you are paying for extra water or a flavor enhancer like MSG. Which not only adds to the weight of the meat, but also can be potentially dangerous for those of us that are sensitive to those additives. Those little enhancers, besides making you sick, can throw off a recipe and ruin a meal. Sometimes there is so much sodium or sugar already added, that when you add the amount called for in your recipe, it doubles or even triples the amount needed. And if you aren’t aware it is already in the meat, then by the time it’s cooked it is too late. I keep this made up, only in a larger amount, & in the freezer, it makes prep. time go so much faster. Mix well in large bowl & store in a gallon freezer bag. Be sure & label the bag. If you cook Gluten Free, like I do, labeling is important. Note: if you use Betty Crocker Rice flour alone, then you must add 1/4 teaspoon xanthan gum, per 2 cups . Place all ingredients in a food processor on high until blended. Place in refrigerator for at least 30 minutes. (You can leave this in the fridge overnight if it is sealed). Roll out onto floured (with GF flour) surface to desired thickness and place in pie pan, flute the edges, and fill with pie filling, or for cream pies bake shell at 350* F. for 25-30 min. or until golden brown. ( I like to roll mine out on floured wax paper, using a glass rolling pen filled with ice water. 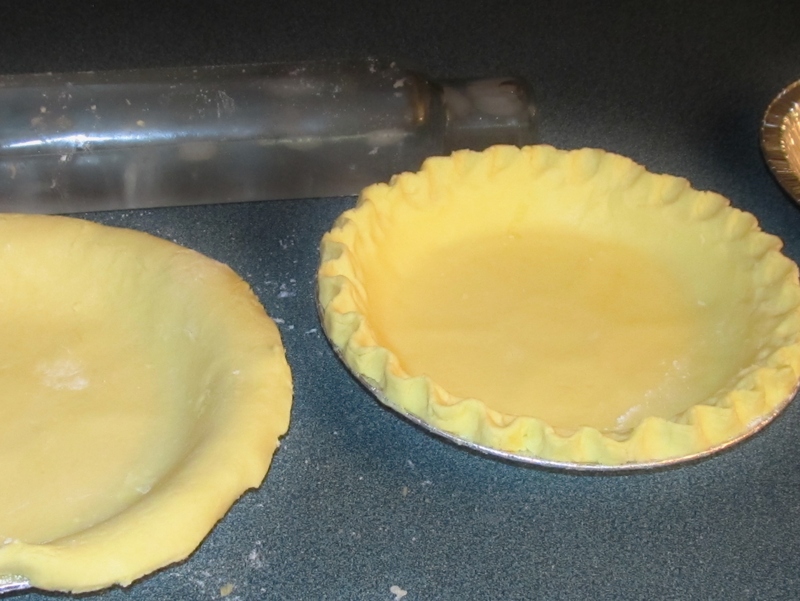 )To place dough in pie pan, move rolling pen to edge of dough and using the waxed paper flip edge of dough over rolling pen, turning the rolling pen so that dough is loosely wrapped around it. Then lift dough to pie plate and gentle place in pan. If dough becomes too warm to work with, return to refrigerator until cool. This will make 1 pie shell. To make pie with a top crust, you must double the recipe. When working with a top crust, after rolling it out on floured wax paper, it helps a lot to return it back to the fridge, or freezer until it is cold,(not frozen). The dough is so much easier to work with, if it is really cold. This dough will also freeze well. I just flatten the dough out to about 4 inches around and wrap it in floured wax paper, folding it over on all sides, forming a square package. Then place it in a zip lock freezer bag, and freeze. When ready to use just open the zip lock bag about half way and microwave about 25 – 30 seconds, and roll out. I like to keep the wax paper on it to roll out, you will probably need to add a little more flour before you roll it out.